An aromatic, zesty baked rice dish that is the perfect accompaniment to a warm and comforting daal. This dish is super healthy, vegan, gluten free and deliciously fragrant. The whole house smelt amazing. 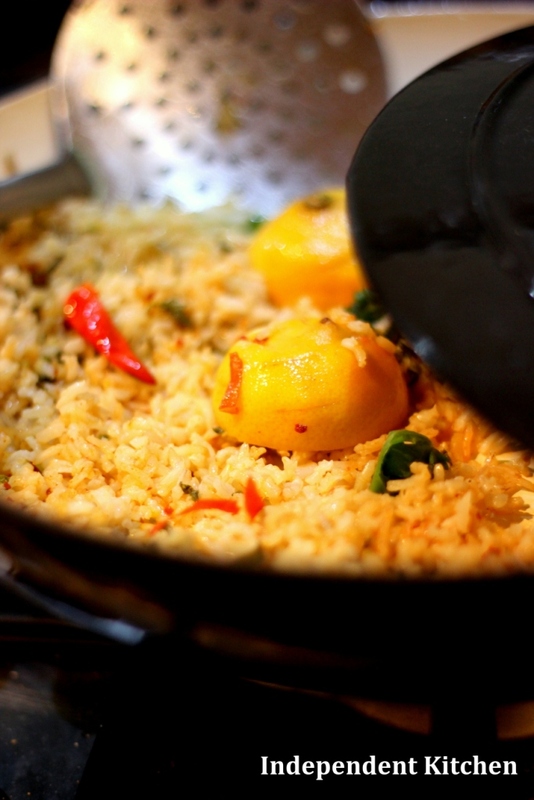 Rinse the rice and place in a lidded pan suitable for the oven (a baking tray with foil will suffice). Slice the lemon in half, pierce with a knife and place both halves face down in the rice. Finely dice one of the chillies and sprinkle over the rice. Hold one or two chillies back to place on top. Add the smoked paprika on top. Roughly cut half of the coriander and sprinkle over the rice. Add the water, cover the dish and place in the oven for about an hour. 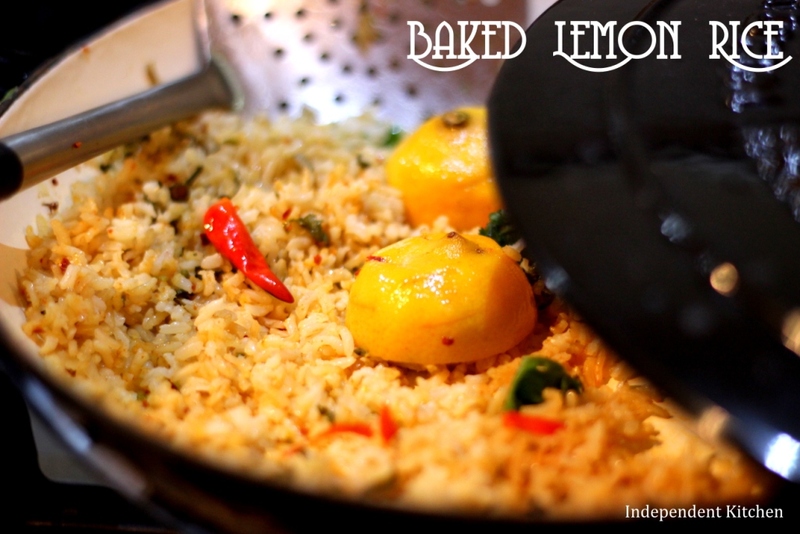 Remove the dish, squish the lemons into the rice to release all of the delicious, fragrant juice. Fluff a little to release the steam, this stops the rice overcooking, add the chilli flakes and serve. That looks delicious and so bright! 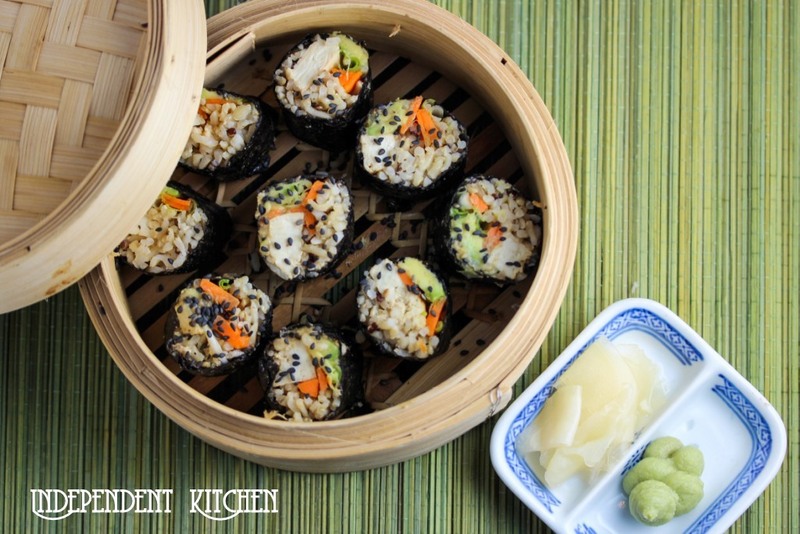 I want to try experimenting more with rice dishes and I might start here!